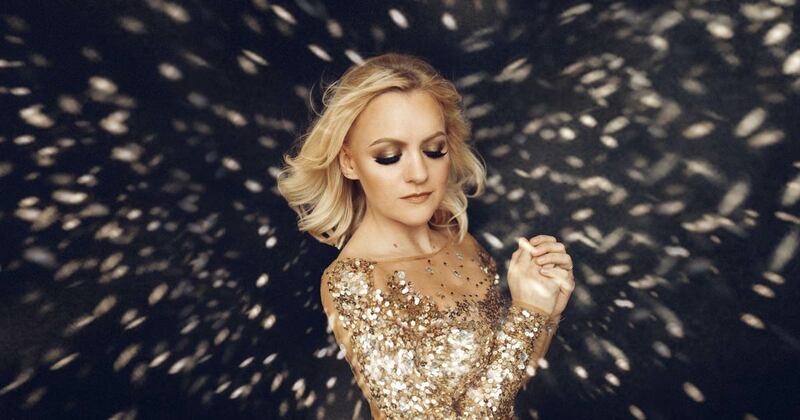 Philippa Hanna is an acclaimed British singer-songwriter, based in Sheffield, UK. 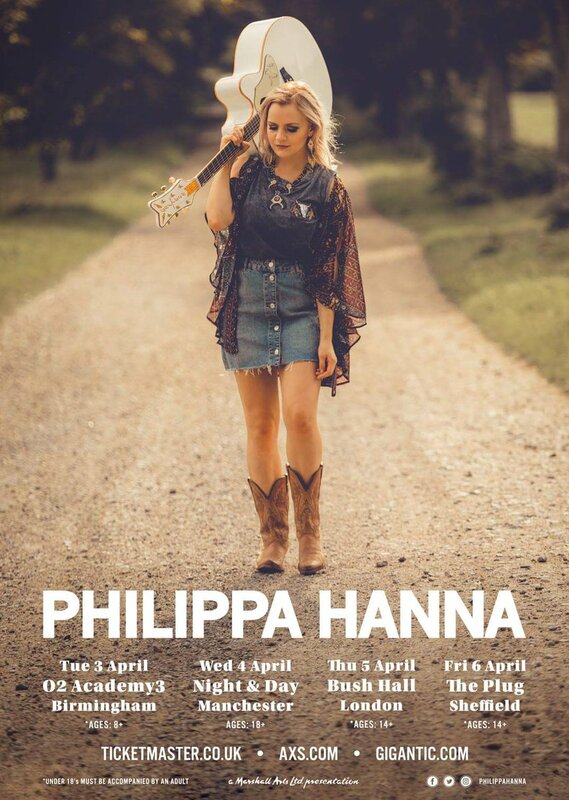 Since her 2007 debut, Philippa has released several studio albums, an EP and a live DVD, and published two autobiographical books. 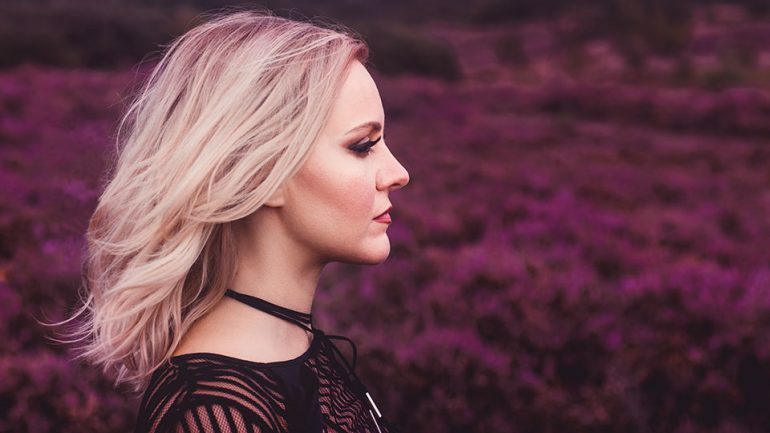 Her latest album ‘Come Back Fighting‘ topped the UK iTunes Country Chart, reached #1 on the OCC Christian & Gospel album chart and has already gained supported from BBC Radio 2 with plays on Bob Harris Country and a live session on the first edition of Good Morning Sunday in its new format. Philippa went viral last week with a cover of Ed Sheeran’s ‘Perfect‘ in her country/gospel style; the video has currently had over 105k shares and 3.5m views in four days and continuing to be shared widely! 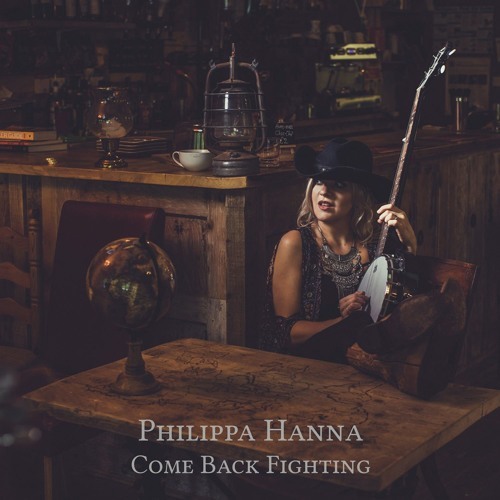 We caught up with Philippa to discuss her album Come Back Fighting and the meaning and emotion behind the single Getting on with Life. Philippa was a joy to talk with and very interesting. Philippa has a lot of passion and zest for life – always thinking of others we discussed the importance of emotional support, mental health issues and how she uses those topics in her music and her youtube vlog to help others. Hi Phillipa – how are you? Can you please introduce yourself and tell us a bit about your background; what got you into Country music? I am a singer/songwriter from the North of England. I have always made music since I was a kid. My dad was an entertainer and his whole family were Irish entertainers; they used to travel around Ireland with their show and that’s where my love for Country music came from. They always sang Country classics and when dad left the show to join a band, he ended up singing Country and folk music, so that is what I grew up on. My cousin, Sandy Kelly, got really into Country music in Ireland and ended up hosting a prime-time daily show where she would have musical guests. She even duetted with Johnny Cash and eventually became the official Patsy Cline roadshow tribute. The songs, the culture, have always been there since I was a kid. What were you doing before concentrating on music? I always made music but I had other jobs to support it too. Music was the only thing that I was ever really good at; school was pretty much a write-off for me. I wasn’t a very good student and just wanted to hide in the music room and play piano and write songs. It wasn’t an easy road to have a job in music, so for a few years I waitressed full time and worked in shops etc. I also taught music for a while but, thankfully for a good few years now, I have been on the road doing this, so I am very grateful. How would you describe your sound, because I’ve seen various descriptions? I feel like I am just a singer/songwriter through and through. The songs usually direct the genre a little because I have a really broad taste. The Country style just keeps coming through over and over; it’s almost like my mother tongue, because I was raised on it. I also want to tell stories and take people on a journey, which is is something I learned from Country. 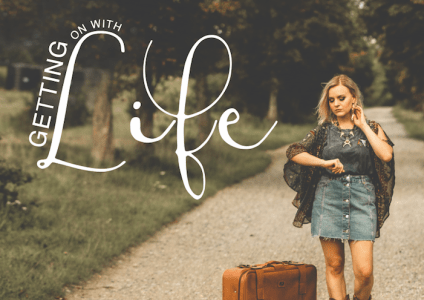 Tell us about your current single – Getting On With Life. This is a really personal song and I believe an important one, because it is about empathy and seeing life from other people’s point of view. It came to me when my dad was going through chemotherapy. He was diagnosed with leukaemia but is in remission now and is well. But it was tough at the time and I realised that, when he was going through that, I was really anxious and became short tempered. I had less patience and wasn’t that fun to be around, because I was on edge. Whilst this was going on, I was in Sheffield one day, waiting for a bus, and there was this woman who pushed past me, rather forcefully and it was almost like she didn’t see me. She almost knocked me off the kerb and my bag fell off my shoulder; I was really shocked. I was about to shout, to have a bit of ‘pedestrian rage’; it was like a really weird moment, as I had a sort of revelation – that I had no idea what she was going through. I just suddenly felt some human sympathy for her, because there is no way she would do that unless she had something on her mind and perhaps she was having an even harder time than us. Maybe she’d just got a diagnosis, or she is going to her second job of the day or struggles to feed the kids or her partner has left. You just never know, and at that point I thought, ‘What a great idea for a song’. We are all just getting on with life and half the time, when we are cruel or rude or do stuff that seems obnoxious, it’s more because of what we are going through than anything else. This is very true, and I feel very strongly that help and support in schools is needed for the bully, just as much as it is for the victim. Oh yeah, so true. I even experienced it as a kid. I was bullied and then I even remember the day when I wasn’t so nice to someone. At the time I was glad to not be the centre of attention and that it was on someone else; I felt mean, but I knew that had come from being hurt and so I get it. Do you think the youth of today are educated enough about mental health issues and, if not, do you think that if they were, then bullying would be massively reduced? I think it’s tough because there are a lot of complicated emotions going on. It is always going to be there; there are always going to be these dynamics in groups of young people. It is still important to have the support, whether it be school, work, anywhere. I am on Katie Price’s side about legislating social media. It won’t be easy, but social media is still relatively new and we should take responsibility and make sure there are consequences for people who could, in effect ruin someone’s life. It is important to create some consequences, to put people off – as it is too easy to sit behind a computer screen and rip someone apart. Agreed. I am all for some laws coming in with regard to social media bullying. The single is from the album Come Back Fighting; tell us a little bit about the album. Yeah, it was a lot to do with my journey within the music industry. I spent a lot of my time speaking to major record labels and their plans and their intentions for me, but it just didn’t end the way that I hoped it would; it was very difficult. They had this agenda. I wasn’t able to be what they wanted me to be and it was the closest I have ever been to giving up. I took a moment to think; ‘Is this only about me, or are there people out there who will be disappointed if I gave up?’ I thought there would be, so I just thought I have to focus on what I am here to do and what I have to bring. I made a decision that, rather than give up, I’d come back fighting. You seem to encourage people to be inspired and to help others and you have a YouTube blog which relates to that. Tell us about it. On social media I get a lot of responses to my music and to my self esteem and mental health issues posts – and because of those social media posts it has inspired me to do more. I thought how great it would be to just commit a year to upload to YouTube daily, just in case it might help one person get through their day. I am covering things like rejection, discouragement, harassment and all those things – and I also do a few fun things on there to give people a bit of an escape. Eventually the idea is that it will be a book; that’s my personal goal for the year. That sounds amazing – and I always say that if what you do only helps even one person, it is worth it. How important do you think it is for artists to be role models and a voice for their generation? It’s really interesting because there are always two schools of thought. Many, many artists in my opinion aren’t being great role models for young people. There is a need for role models; I desperately needed one as a teenager and the words we say as artists are so magnified that it is a missed opportunity for artists not to use that platform to be better role models and make a difference. Your music has had radio play on BBC Radio 2 and across Country radio – how has the support been and the feedback? It has been amazing. This is the first record I have put out where we have said this is a Country project and I am aware that this is a community that takes music very seriously. It has been humbling and really nice to have people supporting and appreciating what I am doing. It does feel like coming home, because these are my people, we speak the same language, we love the same things, so it is amazing to have the support. You will be going on tour in April – what can we expect from your shows, and where can we see you? I am doing London, Manchester, Sheffield and Birmingham. I am bringing a stripped=back Country band and going to be sharing the stories behind the songs and my journey. Sounds amazing. Thank you for talking to me today and we look forward to more music. I will keep an eye on your YouTube blog, which I am really grateful you are doing, as I think it is such an important thing to have.